This an additional manual hydraulic clamping element to the 3 pressure heads which are standard on the Barth Multi-Press RP. Each head is capable of exerting up to 2000kg of pressure. Adding extra pressure heads is generally for larger frame sizes, which lets you fully utilize the extra clamping area. This attaches to the top and bottom of the fame of the Barth Multi-Press RP to add lateral pressing capability, and slides freely or locks through use of the middle lever. Each unit is equipped with two manual hydraulic pressure units that can exert up to 2000kg of pressure each. With additional accessories, the RP is especially effective when clamping multiple casegoods of deep diameter- compared to working with traditional hand clamps, the job is done quicker, and what once took up an afternoon and most of the space in your shop is now handled by one frame press and one operator. In addition to its precision and power, it is a versatile machine which can be quickly reconfigured for any clamping job you've got. 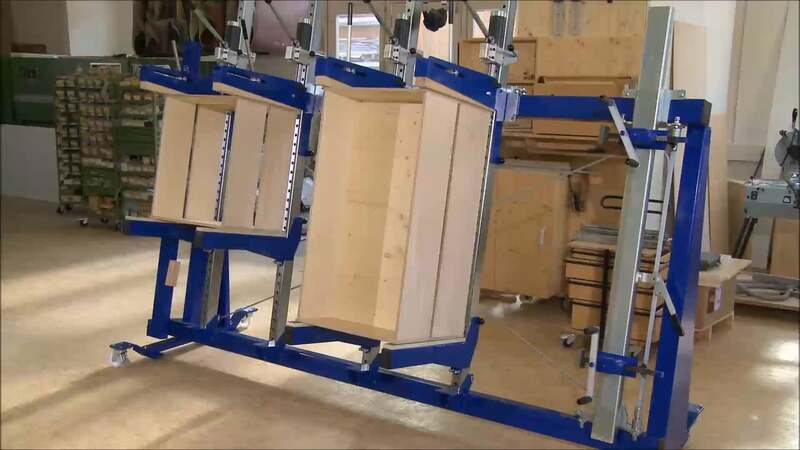 The ability to perform multi clamping of many workpieces all at once set apart this versatile clamping frame.